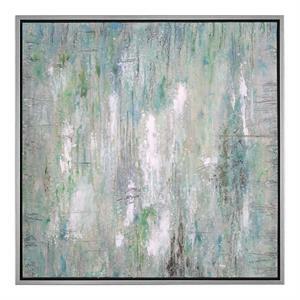 Heavily textured artwork is hand painted on sculpted foam board to give three dimensional qualities. 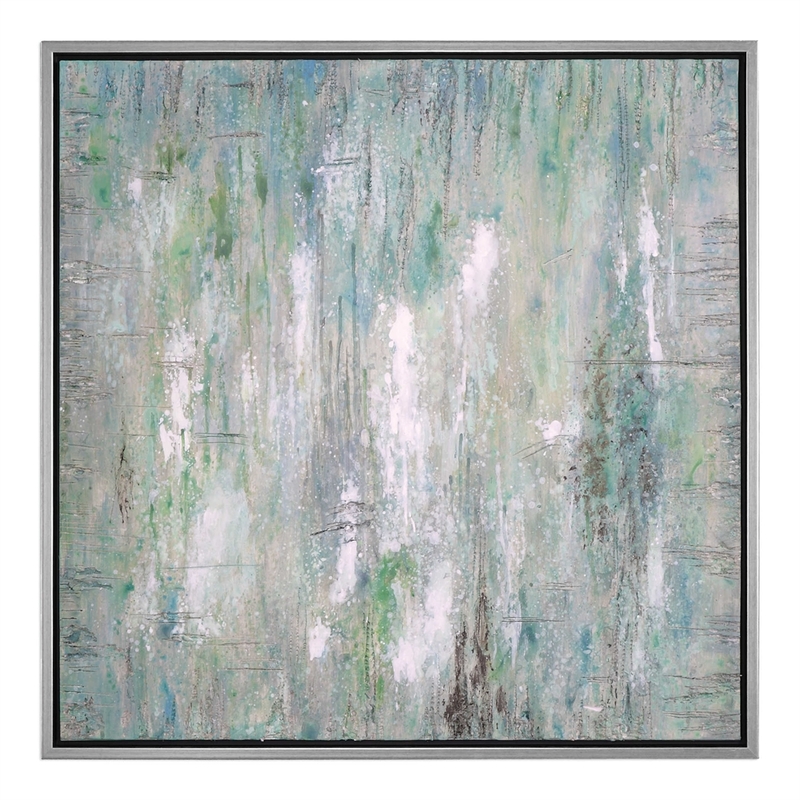 Foam is attached to stretched canvas and then attached to wooden stretchers.The painting is accented with a champagne silver gallery frame. Due to the handcrafted nature of this artwork, each piece may have subtle differences.